TALLAHASSEE, Fla. — City leaders are joining forces with Habitat for Humanity to build three new homes on Connecticut Street. This is the city's 3rd year participating. The goal is to offer affordable housing to everyone. 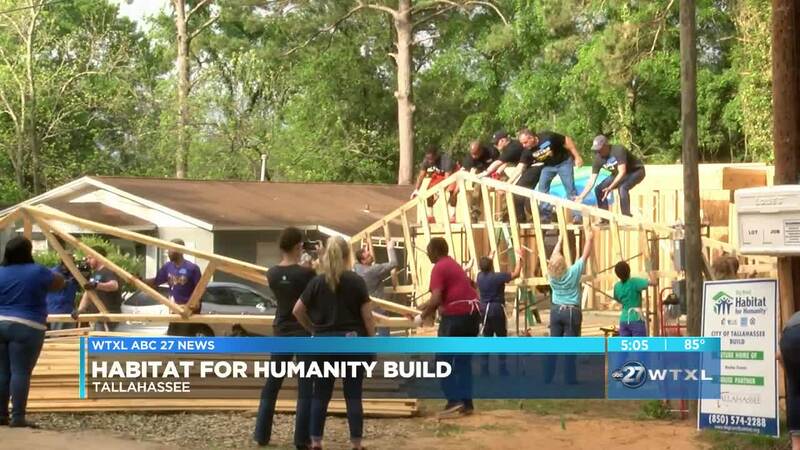 "It's really a true collaboration, a true partnership and effective leadership," said Antoine Wright, Executive Director Tallahassee Habitat for Humanity. "It's one thing to lead by saying. It's another thing to lead by saying and doing." Every Friday and Saturday for the next 10 weeks, city leaders and volunteers will work on this project. When its all said and done, the city will have built eight new homes through the partnership.